Description: Audia Flex Biamp TI2 - 1 each. 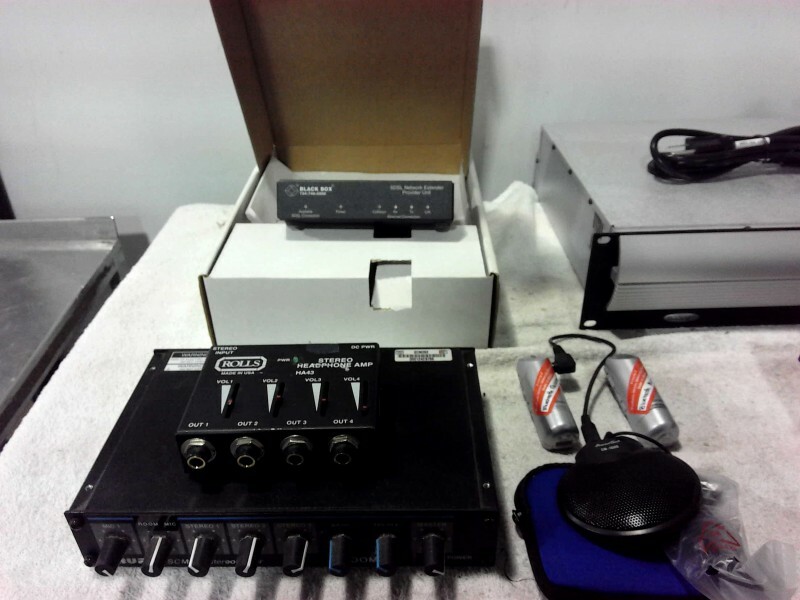 Uninex Video/Audio distribution Amp - 1 each. Linksys 5 port hub - 1 each. Belkin Omniview 4 port KVM - 1 each. Sony Bluetooth reciever and microphone - 1 each. 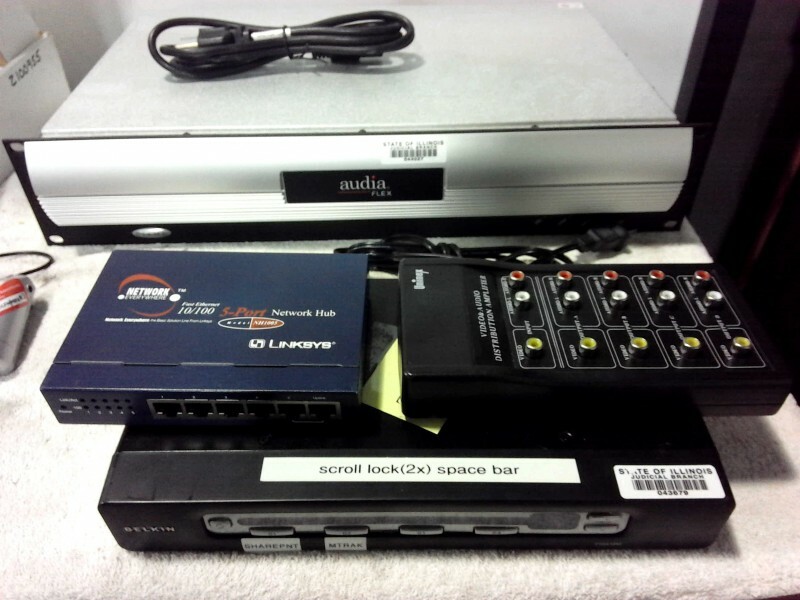 Blackbox SDSL provider unit - 1 each. Rolls stereo headphone amp - 1 each. 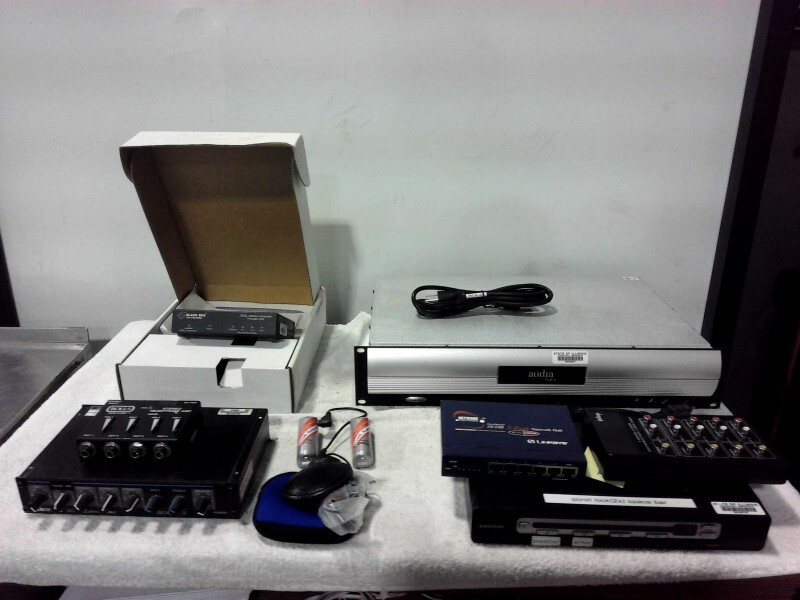 Shure SCM262 stereo mixer - 1 each.